Robot-assisted therapy is effective in improving arm and shoulder mobility in stroke patients, according to new research presented at the American Stroke Association's International Stroke Conference in Los Angeles. Start about one minute in to see the device in action. 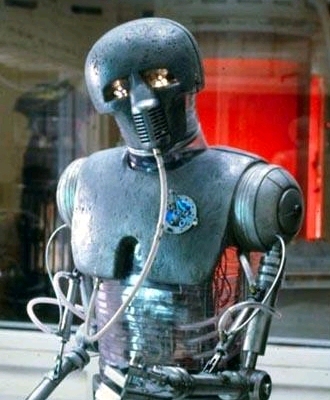 Star Wars fans have already prepared themselves for robotic help in recovery; the 2-1B autonomous medical droid could do surgery as well as rehab. I also thought of the "automatic massager," a fictional robot from A.E. van Vogt's 1944 story Far Centaurus. After being asleep for decades while traveling between the stars, what sort of machines will help restore vigor to the body?